Chevy Volt sales are cranking up. General Motors sold three times as many Chevrolet Volts in 2012 as it did in 2011, which was the car's first full year on the market. GM sold 23,461 Volts in 2012 compared with just 7,671 in 2011. While it's an impressive jump, the Volt is still one of Chevy's lowest-selling cars. However, the Volt greatly outdid the Corvette, for instance, of which only 14,000 were sold last year. Its 2012 sales also put the Volt well ahead of its nearest competitor, the Nissan Leaf. Nissan sold about 9,800 Leafs in 2012, an increase of just 1.5% over 2011. Still, Nissan pointed out, it was a record year for Leaf sales. The single biggest factor driving the sales increase, according to both GM and industry analysts, was the Volt's increased popularity in car-clogged California. Sales there jumped thanks to a few engineering tweaks that made the Volt eligible for California's highly desirable carpool lane stickers for the first time. "More than half of all Volt sales are in California," said Alec Guitierrez, an analyst with Kelley Blue Book. The car has also been catching on in other markets, however, including Michigan and in the Chicago area, according to GM. Besides the carpool lane stickers, the Volt has also been helped by aggressive leasing incentives offered in 2012. Last year, GM was offering the car for $289 a month with a $2,800 down payment. That was far less than a car with the Volt's nearly $40,000 purchase price would ordinarily lease for, even factoring in a $7,500 plug-in car tax credit. "The math on the Volt starts to make sense to the masses at those prices," said Jesse Toprak, an analyst with the auto pricing Web site Truecar.com. 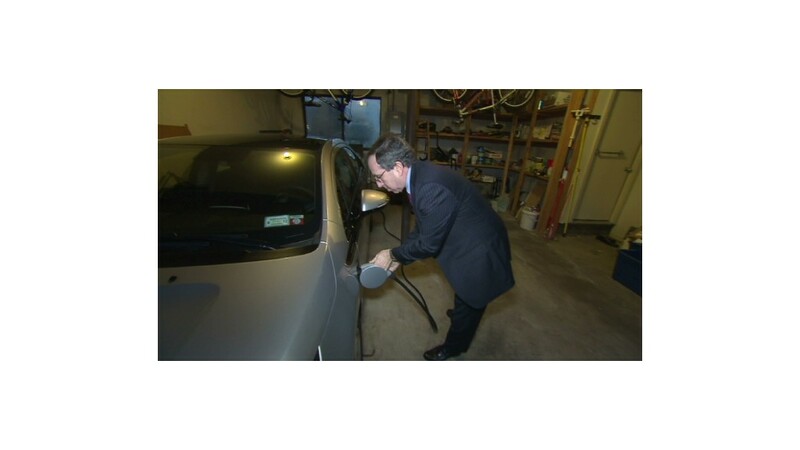 Chevy Volt owners routinely report getting triple-digit gas mileage, according to the Web site Voltstats.net. While even those fuel savings might not make up the car's relatively high cost at full sticker price, the low lease rates made the Volt's price more comparable to ordinary fully-gasoline-powered cars. Following a full charge, the Volt can drive about 38 miles on plug-in electric power, according to EPA estimates, before a gasoline engine switches on to generate power for further driving. The Volt faced some serious sales challenges in 2012, pointed out Tom Libby, an auto sales analyst with Polk. At the beginning of the year, GM voluntarily recalled the cars to fix a battery packaging problem that could, in some unusual crash circumstances, lead to a fire risk. 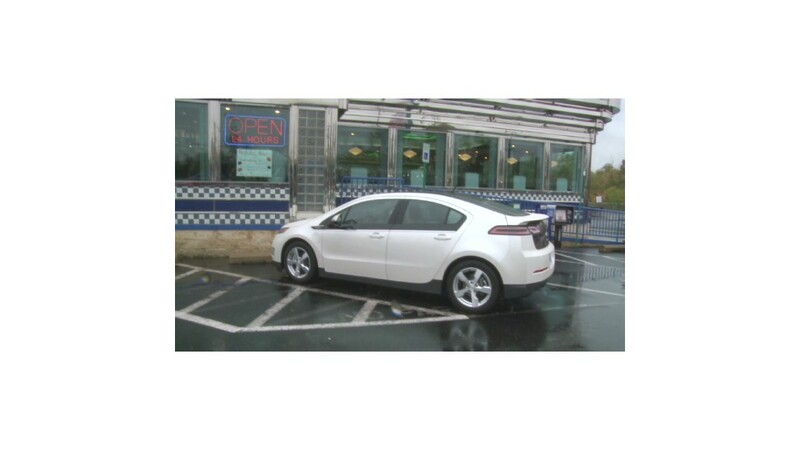 The National Highway Traffic Safety Administration later closed its investigation finding that the Volt, even before the recall, had posed no greater fire risk than other cars. Even so, said Libby, news of the investigation and recall caused significant negative publicity for the car which seems to have now been overcome. Regardless of the good news, Libby said, it still bears remembering that sales of the Volt, which is now the best-selling plug-in car in America, are still miniscule compared to most other cars. In 2012, Chevrolet dealers sold almost exactly 10 times as many of the Chevrolet Cruze, the gasoline powered car on which the Volt is based. "They realize the need to do better," he said.